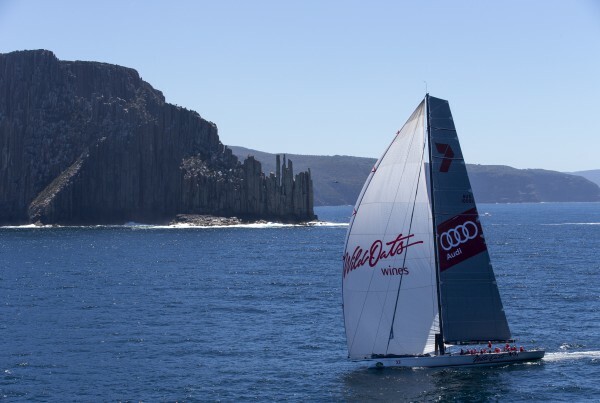 Wild Oats XI crossed the Rolex Sydney Hobart 2018 finish line in 1 day, 19 hours, 7 minutes and 21 seconds. 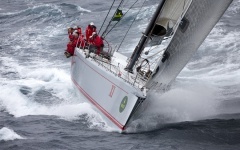 Nine times Line Honours winner of the Rolex Sydney Hobart Yacht Race. This year’s Wild Oats XI Rolex Sydney Hobart crew is not one to be messed with. 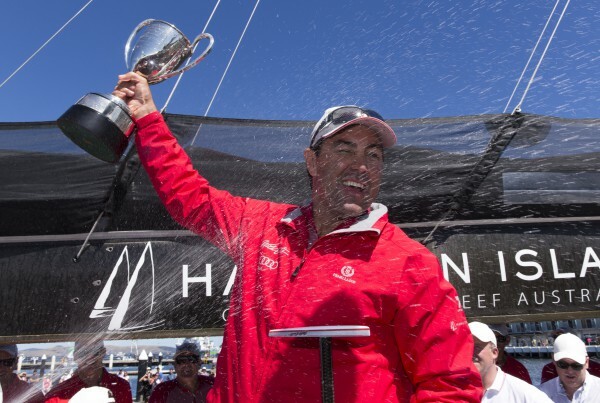 The team of 20, lead by Skipper Mark Richards, is comprised of some of the world’s most talented and applauded sailors, including numerous America’s Cup, Olympic and Volvo veterans. 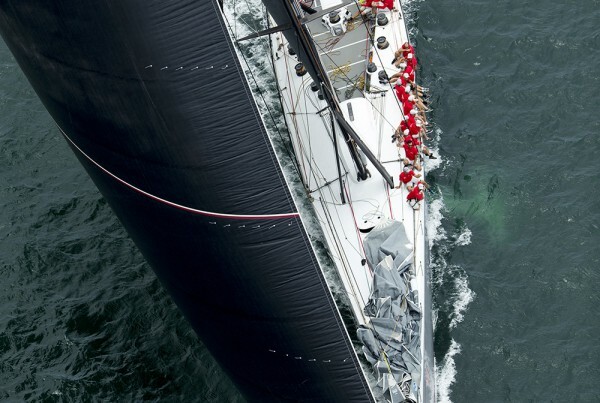 With nearly 250 combined races between them, the key to this yacht’s impressive history has undoubtedly come down to picking the right crew, and sticking with them. 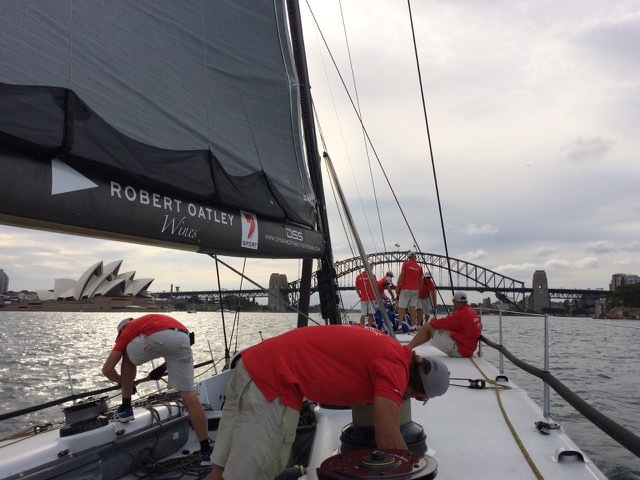 While Wild Oats XI owners, the Oatley family, have kept the boat competitive through continuous modification, the winning formula has been keeping the crew turnover to a minimum, ensuring that everyone onboard knows the boat inside out and works effectively together as a team. 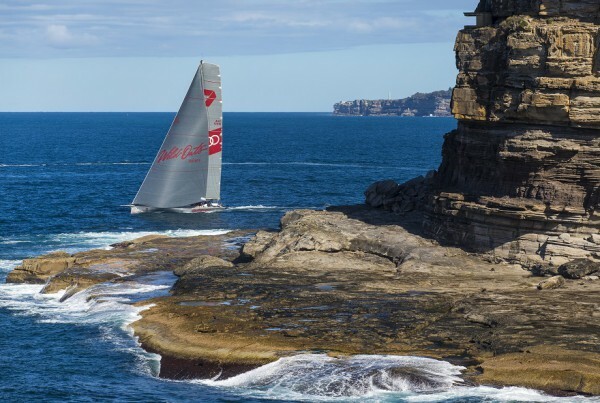 Under the guidance of Mark Richards, the team is vying for a record breaking 9th line honours win in this years edition of the Rolex Sydney Hobart. 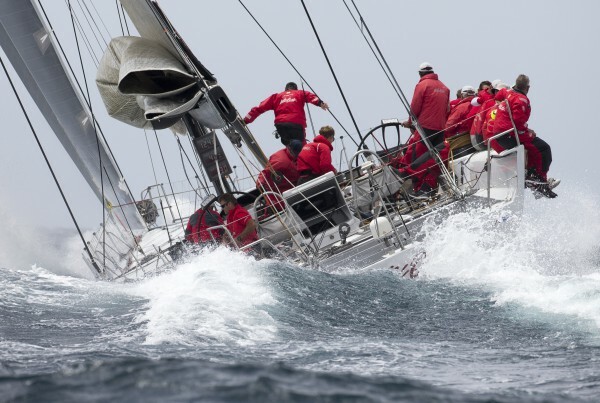 Often referred to as the most gruelling yacht race in the world, The Rolex Sydney to Hobart is a challenge to anyone who chooses to take part. Over the past 69 years, the event, held on 26th December, has become an icon of Australia’s summer sport, ranking in public interest with such national events as the Melbourne Cup horse race, the Davis Cup tennis and the cricket tests between Australia and England. No regular annual yachting event in the world attracts such huge media coverage than does the start on Sydney Harbour. 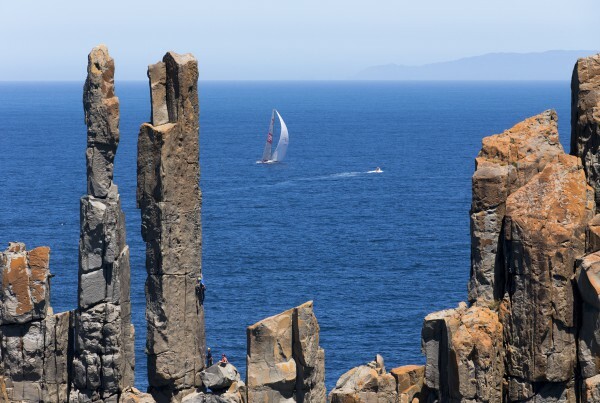 Participants from maxi yachts to weekend racers take part in the event, which starts at Nielsen Park in Sydney Harbour and takes the international fleet 628 nautical miles to the finish line in the Derwent River, Hobart.The journey itself is no walk in the park. 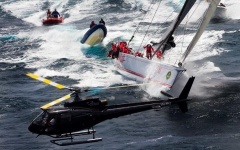 Not only do crews have to consider strong tides, varying wind strength and a hazardous coastline to navigate – there’s also the ever-growing threat of a collision with a soft marine object. 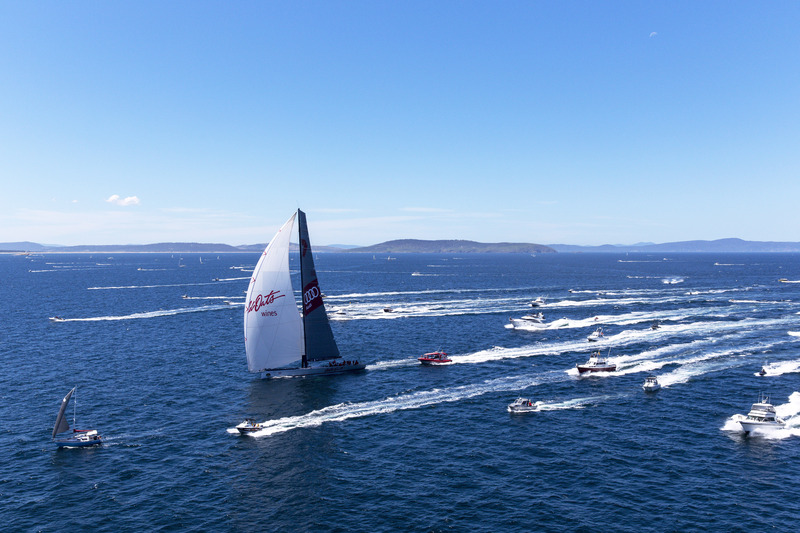 At the finish line – whether crews are celebrating or commiserating, Hobart’s waterfront is overrun with yachts and their crews enjoying a beer or two regaling tails of the race. 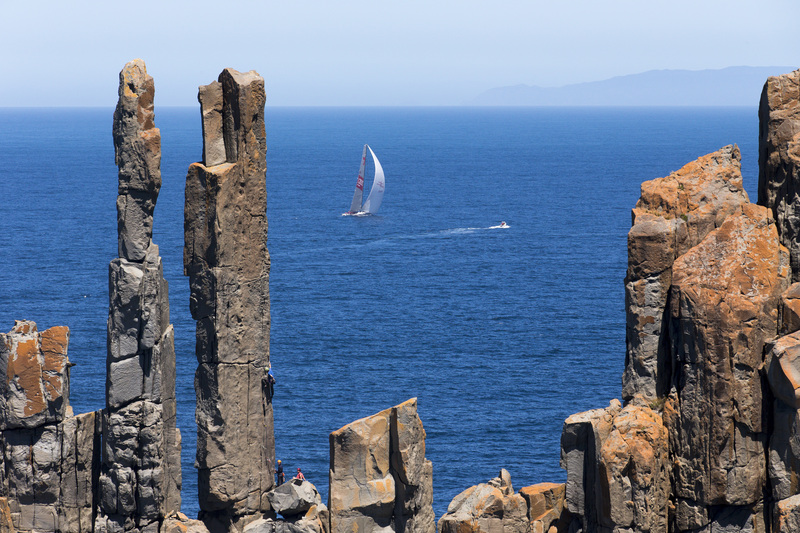 It’s an event that Tasmanian’s love to host so if you’re down that way – make sure you swing by the dockside bars. Wild Oats XI was launched only a matter of days before her first Rolex Sydney Hobart race. 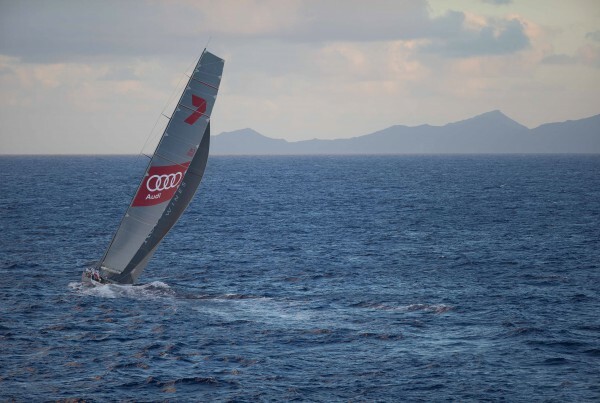 She proved to be so fast that she blasted her way to a rare ‘Triple Crown’ victory – line honours, a race record time and victory on handicap. Her time for the 628 nautical mile course was 1 day, 18 hours, 40 minutes, and 10 seconds, more than an hour inside the previous record. 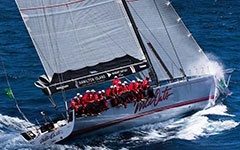 The Oatley family’s renowned Wild Oats XI was extended to the new maximum overall length for yachts contesting the Rolex Sydney Hobart race – 30.48 metres (100ft). 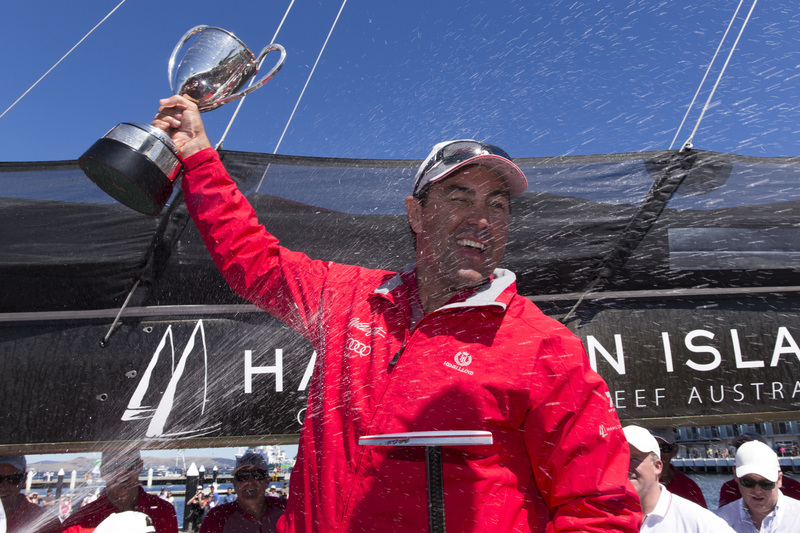 Under Skipper Mark Richard’s expert captainship, Wild Oats XI again took the triple-crown in the Rolex Sydney Hobart race - line and handicap honours and a race record time. That elapsed time was 16 minutes, 58 seconds inside her previous mark. 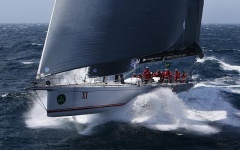 Pioneering new technology, Wild Oats XI again pioneered new technology: she was the first international ocean racing yacht to carry a hydrofoil-type wing; a feature designed to provide lift to her bow and therefore deliver greater speed when sailing downwind. 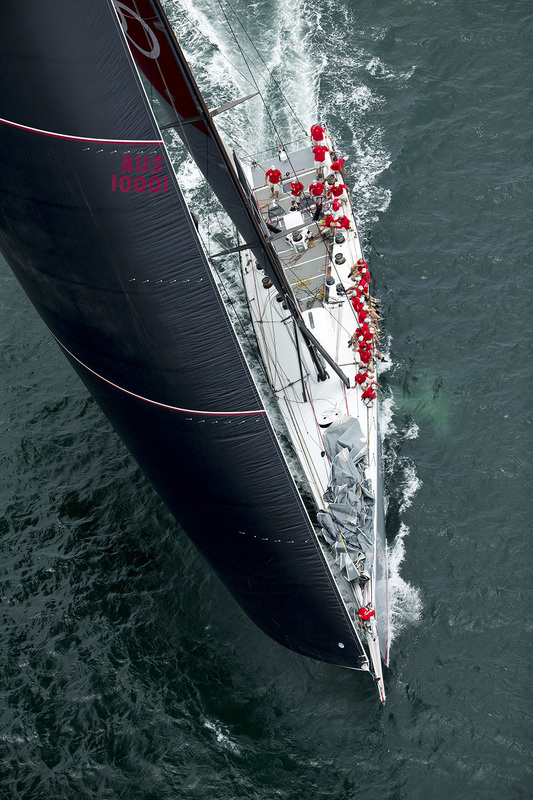 Wild Oats XI’s bow is streamlined to reduce drag – a modification that was expected to gain her just a few seconds per mile in speed. While this does not sound like much, the fractional gain in speed could contribute to her being between 15 and 30 minutes faster over the 628 nautical mile course to Hobart. 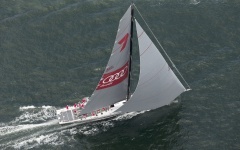 She was also fitted with new sails made from a revolutionary, non-stretch, ultra-light fabric. 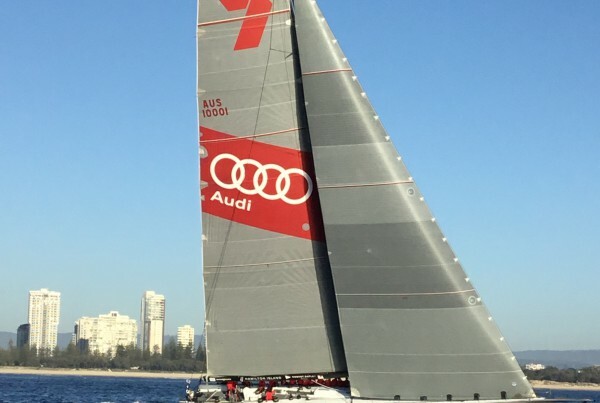 The underside of the hull has been resurfaced with a high performance finish, which is expected to reduce drag and therefore increase speed through water, and several new sails utilising cutting edge 3Di technology have been fitted to the yacht. 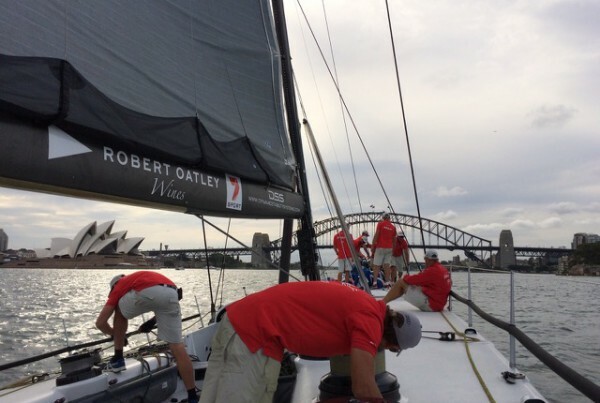 "We truly value our partnership with the Oatley Family and Wild Oats XI. 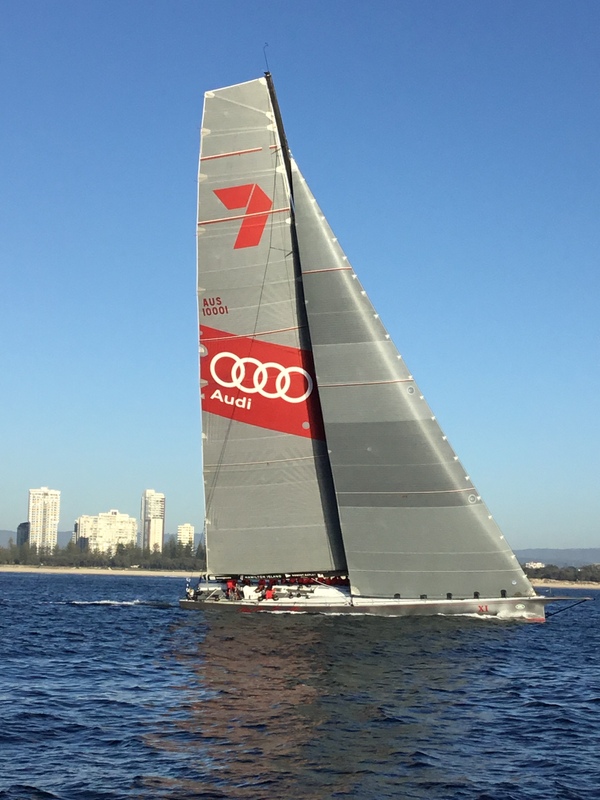 Seven has a long and proud association with yachting and a deep connection with Sydney and her Harbour. We applaud the professionalism, commitment and talent of all who sail on Wild Oats XI and take great pride in riding with her and her crew." 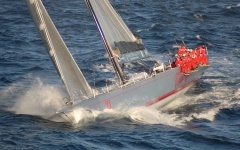 "It's a great honour to be associated with a yacht with the track record of Wild Oat's XI and we enjoy being not only partners in their quest for an historic 8th Syd-Hob line honours but also to be trying where possible to emulate their feats on a reputational basis, pushing the boundaries of performance and standards of excellence in tourism."